The latest surprise in a presidential race full of surprises is the news that Michael Bloomberg is considering a third-party run if it appears that non-establishment candidates Donald Trump, Ted Cruz or Bernie Sanders might actually capture his respective party’s nomination. Bloomberg could become America’s first Jewish president, Haaretz says; and the news has got people wondering, what is Michael Bloomberg’s record on Israel? The 73-year-old former mayor has been extremely supportive of Israel with what seems like a generational Jewish attachment. He has funded buildings in his parents’ names there and he flew to Israel a year and a half ago to declare that it was within its rights to bomb Gaza to smithereens (a judgement against international law). He has adopted neoconservative positions on foreign policy and aided Islamophobic efforts in New York city. Yet in a couple of instances, Bloomberg has disappointed the Israel lobby. Bloomberg was an early and vocal supporter of the Iraq War, though apparently he cooled off on it later. On Bloomberg’s watch, the NY Police Department instituted a surveillance program targeting Muslims in New York that was modeled on Israeli policies in the West Bank. Bloomberg also undermined Debbie Almontaser when her Arabic-language academy in Brooklyn came under attack by Israel supporters. In the end he helped force her resignation. Last August, Bloomberg bridled at White House efforts to pressure Democrats to support the Iran deal, saying that the deal was very flawed. I don’t see where Bloomberg came down in the end on the deal, though he expressed support for Senator Chuck Schumer’s opposition to the deal. As mayor, Bloomberg led the effort to create a technology campus on Roosevelt Island in New York as a joint endeavor of Cornell and the Technion, an Israeli university. When ground was broken, he had left office, and contributed $100 million to the project. During my brief time in Israel, I met with Prime Minister Benjamin Netanyahu, President Shimon Peres and Jerusalem Mayor Nir Barkat. I thanked them for standing with us after the Sept. 11 attacks and offered my strong support for their actions in response to the attacks by Hamas. Every country has a right to defend its borders from enemies, and Israel was entirely justified in crossing into Gaza to destroy the tunnels and rockets that threaten its sovereignty. I know what I would want my government to do if the U.S. was attacked by a rocket from above or via a tunnel from below; I think most Americans do, too. Israel has no stronger ally than the U.S. The next month he said that Israel did not have to limit itself to a “proportional” response to Gaza attacks. At Chicago, you have all been fortunate to be part of an institution that’s long practiced independent thinking and discovery. And I’m not just talking about t-shirts. From the University’s defense against accusations of communist teaching 70 years ago to its support of Professor Mearsheimer’s right to criticize the Israel lobby’s influence on U.S. foreign policy, this has been a place where open debate is encouraged and cherished. In 2013 Bloomberg did a good thing by helping to end the furor over the fact that Brooklyn College was about to hold a panel on Boycott, Divestment and Sanctions (BDS) featuring two supporters of the campaign, Judith Butler and Omar Barghouti. While stating that he “couldn’t disagree more violently” with the aims of BDS, Bloomberg came out against several politicians, including supposedly liberal Democrats, who had opposed the school’s holding of the panel, and said those who objected ought to go to school in North Korea. On the social/personal level, Bloomberg would seem to be a somewhat assimilated Jew. A Bloomberg family legend surrounds the fact that when he was a child, his father had to buy a house in Medford, Massachusetts, using a dummy Irish buyer because Jews were discriminated against in housing purchases. Joyce Purnick of the New York Times reported that the Jews at Medford High stuck together, but not Bloomberg: “‘The Jewish kids tended to hang together, mostly,’ [a Jewish former student recalled]. Not, however, Mike Bloomberg…. ‘[He was] not in our crowd. I don’t know who he was friendly with, who he hung out with, but it wasn’t us. '” The former mayor’s longtime partner is Diana Taylor, 60, the former NY State Superintendent of Banks, who the Times reported is from a “genteel” Greenwich, CT, background, meaning that she is a WASP. He was married to a woman from England said to be non-Jewish; their daughters were raised as Jews but one of them also married a non-Jew. Thanks to Scott McConnell and Alex Kane. Bloomberg..”Israel did not have to limit itself to a “proportional” response to Gaza attacks”. Bloomberg is just another war criminal advocating war crimes contrary to all norms of International law. Bloomberg is just another Zionist slug who can be relied upon to crawl out onto the pavement when it is raining on his beloved Israel. I am disgusted and ashamed that such a creature should have been honoured here in the UK in the light of his innate Fascism when it comes to Israel. And this a few months after the mass slaughter of children by his beloved Israel which he “regretted” but supported. Though it is by no means as naked or as in your face compared with the US scenario it does illustrate that there is an ongoing Elders factor here in the UK which needs to be challenged at every opportunity. It also illustrates just how farcical the UK honours system has become. “(a judgement against international law)” is not a fact. it is strictly an opinion and not based on any determination by a court. Correct DaBakr, it was strictly Bloomberg’s judgement and not based on any determination by a court. For normal homo-sapiens bombing any city to smithereens is wrong and it constitutes a massacre and a war crime. But apparently this does not apply to Zionists like you due to their inferior moral standards and Zionism built in savagery. Bloomberg is looking at running just when it’s appearing that both party nominations may elude all the Israel-over-justice candidates. Hillary and Rubio were just endorsed by the same Iowa newspaper. How will Hillary explain this? What do they have in common? The one clear answer – they are both heavily courting Israel-over-justice billionaires, Adelson and Saban, two peas in a pod on this issue. Despite Israel being at the center of America’s most destructive and most expensive problem, the establishment press stays silent about MANY CENTRAL salient facts of the problem, namely the extreme injustices that have been and continue to be inflicted on the people of Palestine. And the establishment politicians bow to the media and the money and also stay silent. Thus America’s money and lives are sucked up by the war profiteering bankers who are tyrannizing America. It’s sad to see natural allies of Senator Sanders, like Howard Dean and Paul Krugman, knuckling under to this power. But Krugman already told us that he avoids the Israel-Palestine issue because he would otherwise be incessantly, personally harassed. That illustrates the attention to detail of the criminals running the show. Fortunately people who are literate enough to read Krugman and listen to Dean are also literate enough to think for themselves. They may also be informed enough to know that their support for Hillary is another indicator of the reach of that ruthless oligarchy, and another indicator of Senator Sanders’ undeniable courage. 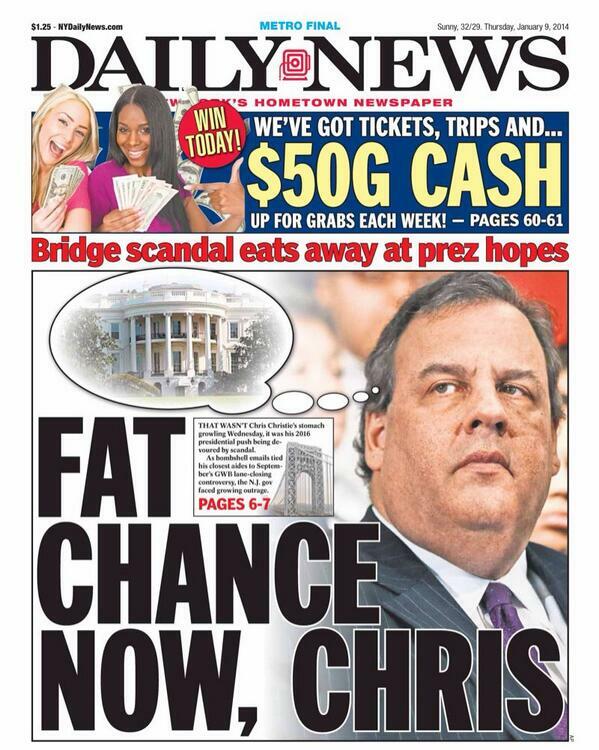 MY COMMENT: Fat chance of Bloomberg getting my support! I will never forgive him for trying to deprive us of our WMEs (Weapons of Mass Enhancement). Consequently, as far as I’m concerned, Bloomberg’s name is toast. Give me high-fructose corn syrup (HFCS), and/or give me death! 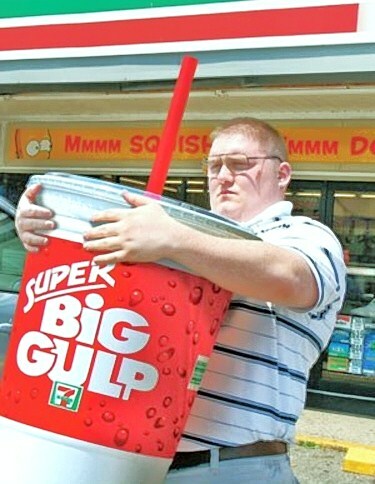 Long live the Big Gulp™! Wasn’t Bloomberg the NY mayor who successfully managed to keep all the inside stuff under the rug regarding 9/11? I mean, I would list that as his biggest accomplishment. What did Bloomberg say about the “28 pages” when he was mayor, and what does he say now? His current announcement of a “possible” campaign seems to me just a gimmick from Hillary campaign, making the point that Bernie is not a “serious” candidate, so the serious guy called Bloomberg would have to step in if Bernie did well in the primary. So, yes, that’s what I think, what it is: a PR stunt of Hillary and her Wall Street backers. Yes Bandalero, he is a key figure in many “conspiracy” theories suggesting 9 11 as something other than a simple terrorist attack by hostile foreigners from the Mid East. The passage quoted here doesn’t give credit to Mearsheimer, it gives credit to the university for being sufficiently tolerant to support his right to free speech (the content of which Bloomberg presumably violently disagreed with). I’d love to see someone do a thorough investigation as to how Bloomberg’s net worth increased from less than $2 billion to over $30 billion during his 12 year tenure as mayor of NYC. The media attacks Boston Mayor Walsh as corrupt for taking a few hundred dollars of free furniture for City Hall that was going to otherwise be thrown out by a developer (this media attack of Walsh is really about his standing up to Casino Mogul Steve Wynn but that’s for another day) but I have never heard a peep about Bloomy’s astounding increase in his wealth while “serving” as mayor. Exploit centrist hysteria: just one way to sneak a hard-core Zionist in through the back door. Americans are collectively punch drunk right now and when they wake up the morning after the election; they’re going to kick themselves in the head. It looks like the prediction I made months ago regarding the outcome on the Republican side (Trump/Cruz) is so far coming true; I’ll be back to gloat about my psychic skills…just kidding! Side note: If this turns out to be a three-way race between Sanders and two billionaires, one, the equivalent of a Manchurian Israel firster Zionist; then Sanders better milk these potential subversions of democracy to the last drop–if he wins the nomination of course, slim chance. If Hillary wins and ends up part of a three-ring circus, then no matter who wins the election, it’ll be an 8-year hangover, only much worse, for everyone on the Left AND the Right. Oh, and Centre too! Invest in migraine medication early. Rupert Murdoch just urged Bloomberg to throw his hat in the ring now; and he’s been after him to run for months now. Is this an indirect endorsement? You bet! 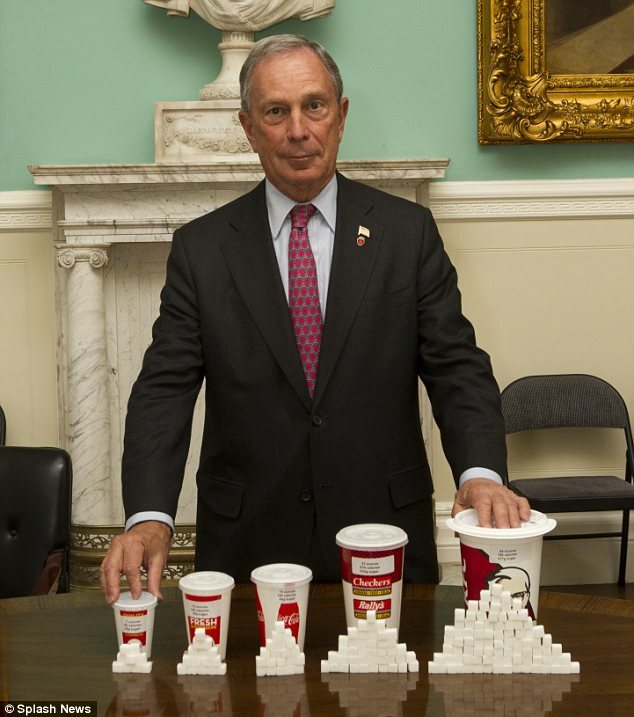 Just one more reason not to vote for Bloomberg. I suspect his ego and Zionist interest will get the better of him and he’ll run. All those Murdoch billions and his own behind Zionism…yuk! Why Bernie Sanders doesn’t participate in organized religion .